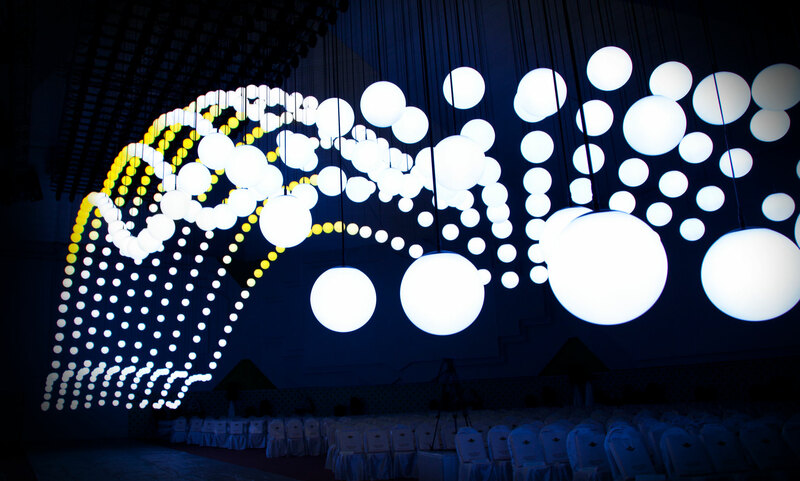 Our ELECTRIC SKY illuminated the classy Vanity Fair Oscars after-party held at the Wallis Annenberg Center for the Performing Arts in Los Angeles last Sunday. 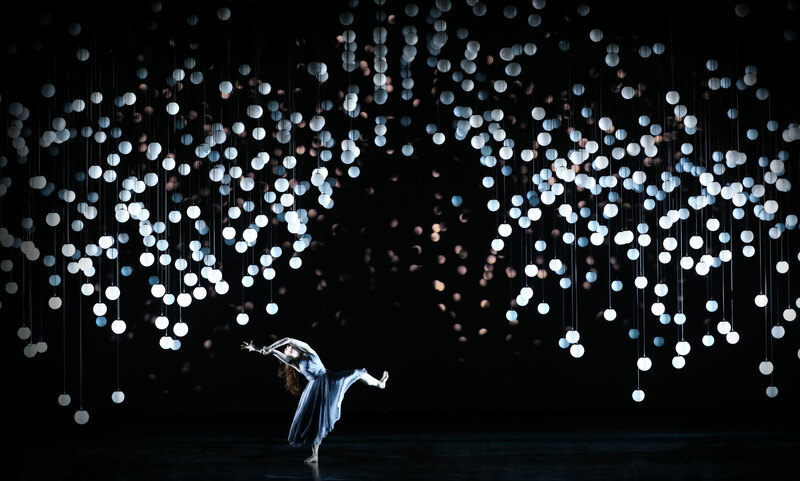 Composed of 120 Sphere 17 with Winch XS, the sparkling array by KINETIC LIGHTS provided an intimate and festive atmosphere to the exclusive company of Academy Award guests and celebrities. 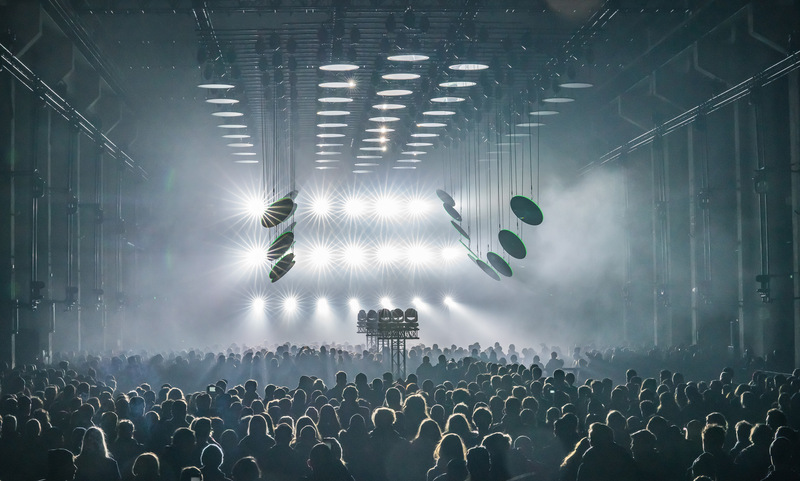 In January 2019, Berlin-based design studio WHITEvoid presented FREQUENCIES as a part of CTM Festival’s 20th anniversary. 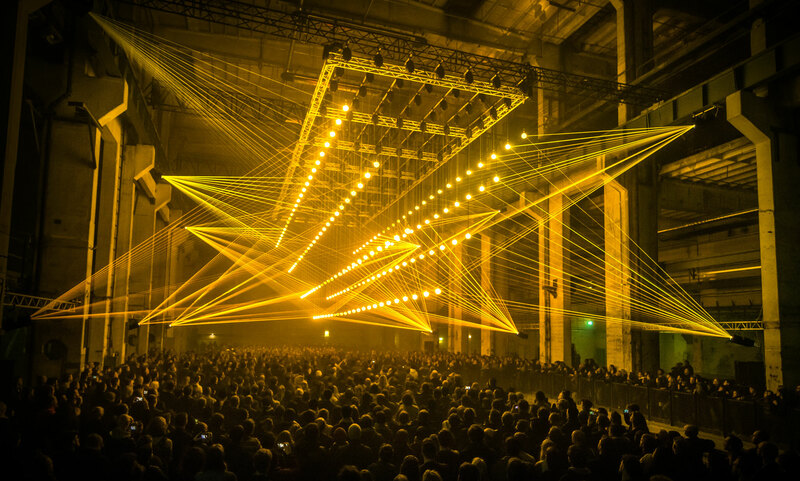 Installed at Halle am Berghain along with a skating rink, the installation features a real-time synchronization of sound waves and light across our 50 RGB Pixel Line lights. 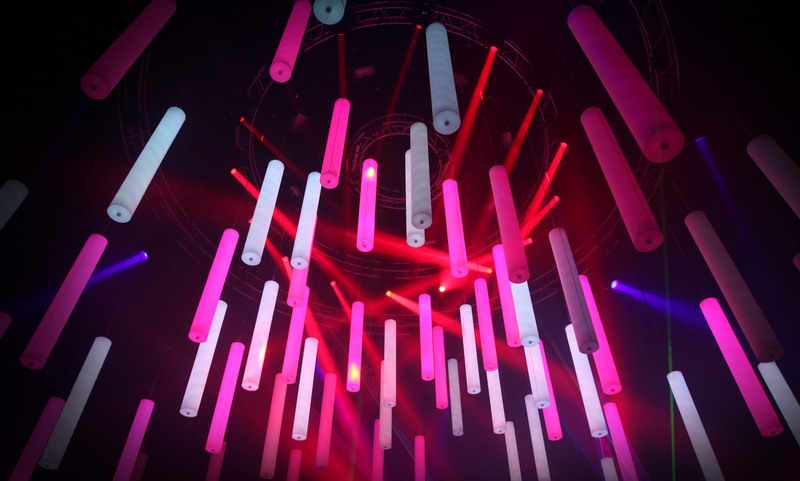 KINETIC LIGHTS software analyses music and generates a specific color assigned to every frequency and beat. 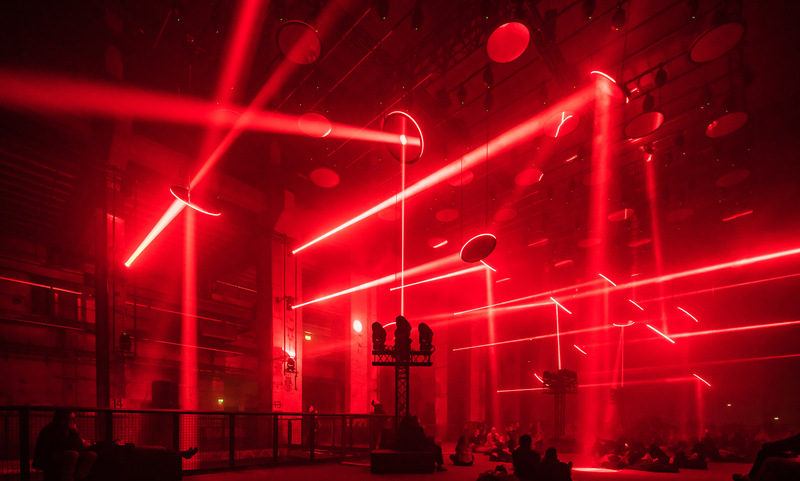 The colors move through light rods to the music and create a dazzling display in stark contrast to the brutalist architecture of the concrete hall. 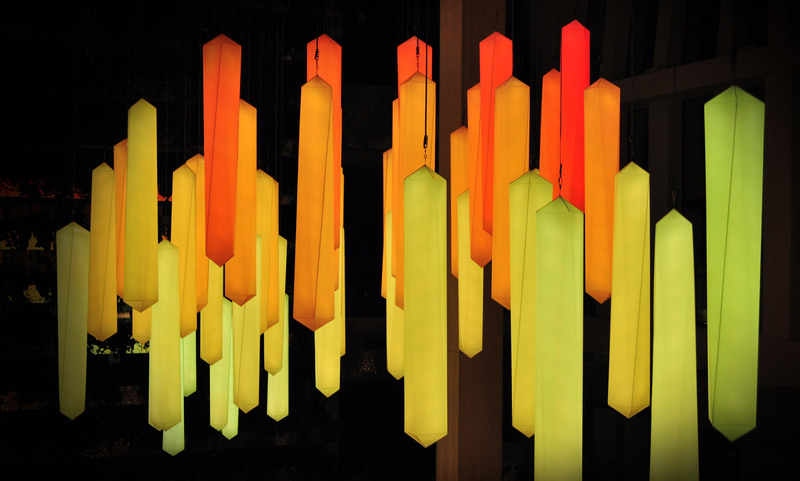 STALACTITE is a monumental installation created by light artist Christopher Bauder and musician Boris Divider. 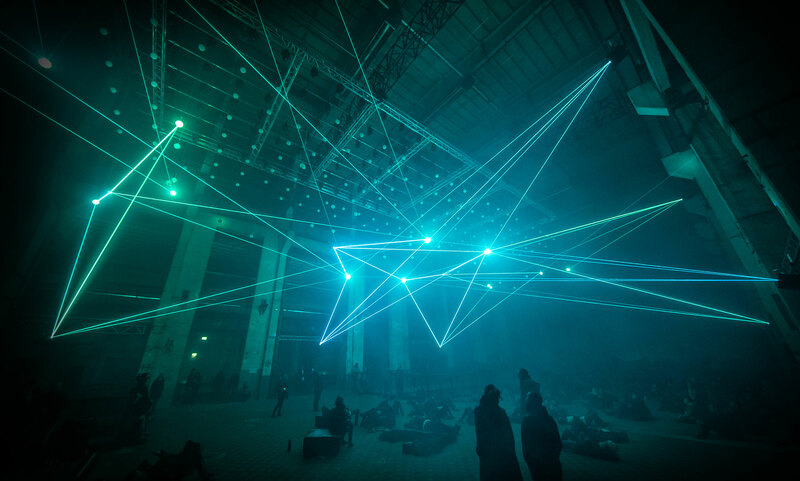 The immersive network-like art light installation is composed of Kinetic Lights 360 Rod light fixtures and Drivers LED. 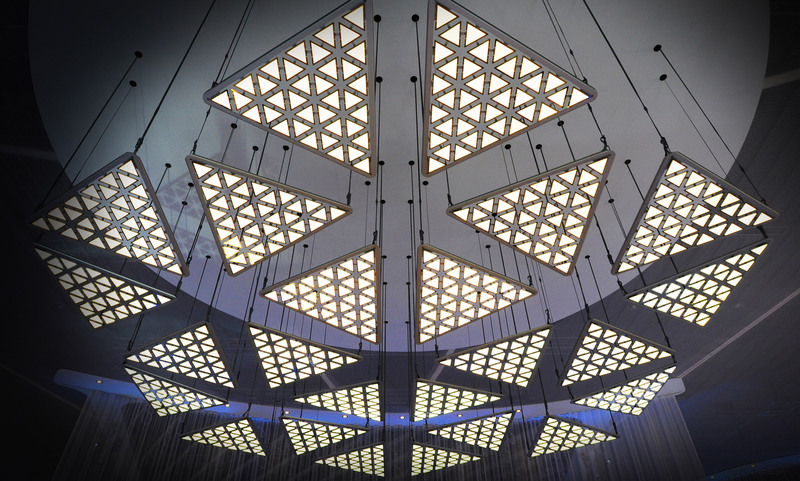 The Space Frame system constructs an inverted pyramid shape. 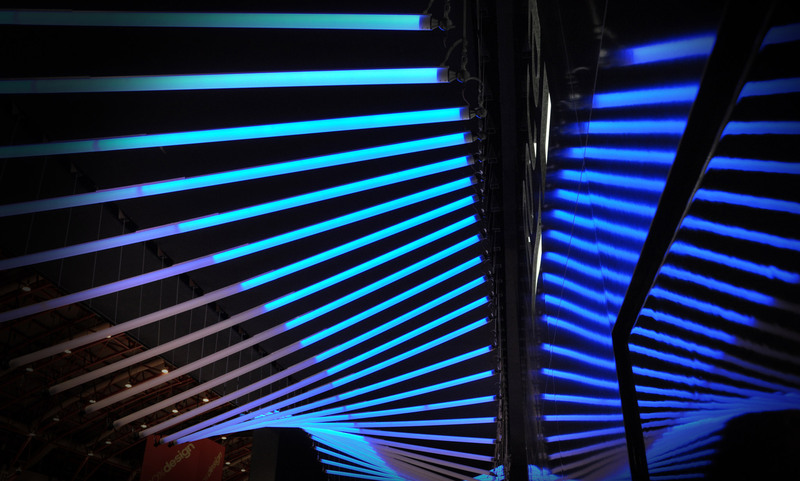 The layers of light rods create pulsating light animations generating complex shapes and light patterns. 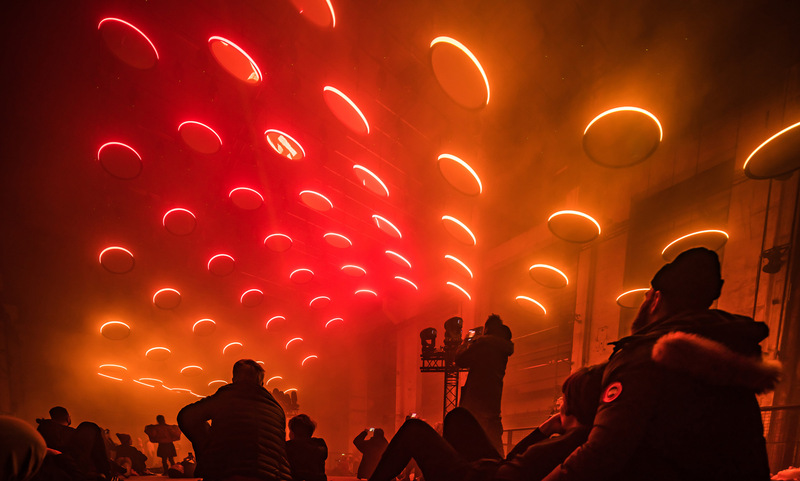 Design agency WHITEvoid designed the 5 meters high light installation symbolising the digital fire as a highlight for Viessmann’s trade fair stand at Light+Building in Frankfurt and Intersolar Europe in Munich. 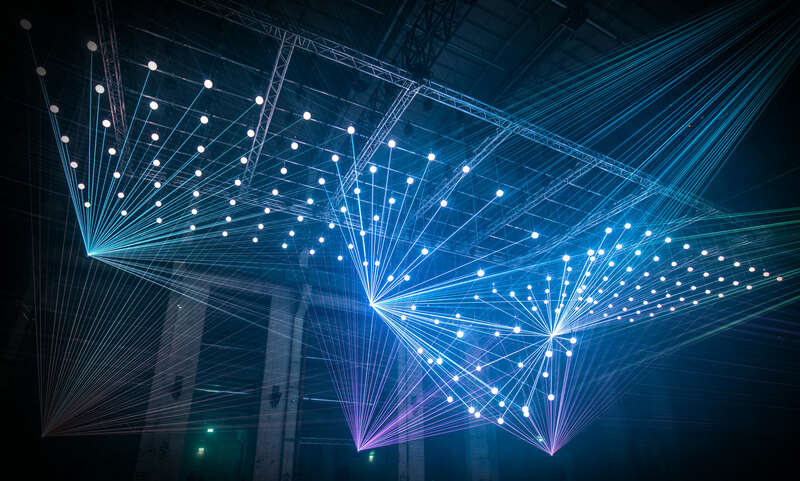 The ever changing light sculpture is composed of 163 Pixel Line light fixtures and Driver PIXEL with more than 20.000 individually controllable pixels. 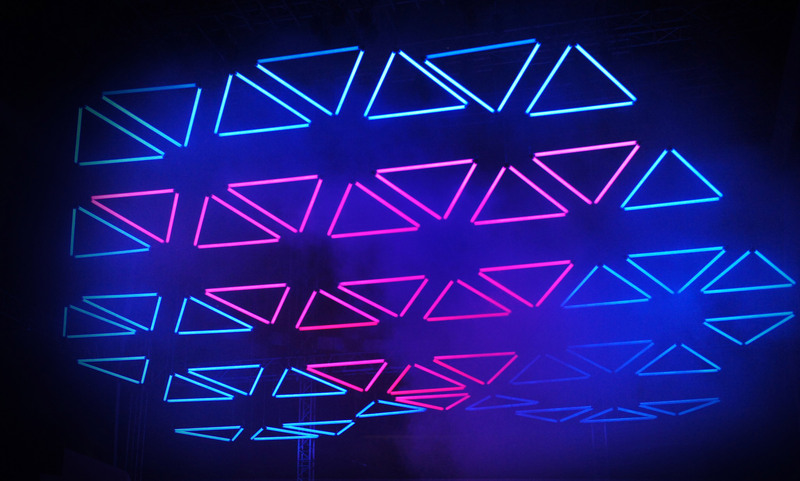 KINETIC LIGHTS provided the equipment, technical development and programming of this impressive light installation. 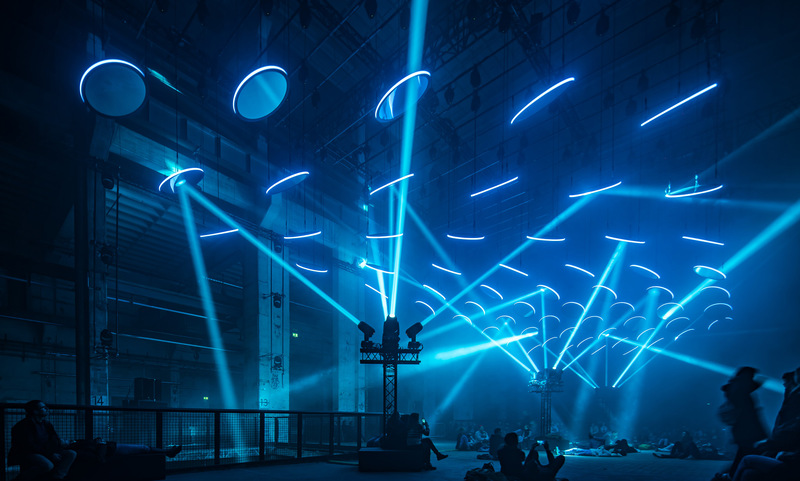 KINETIC LIGHTS presents the unique powered cable Winch LED/PIXEL system with the new Mirror Discs light elements at the prolight+sound trade fair in Frankfurt. Visit us @ Hall 4.0 Stand F 45. 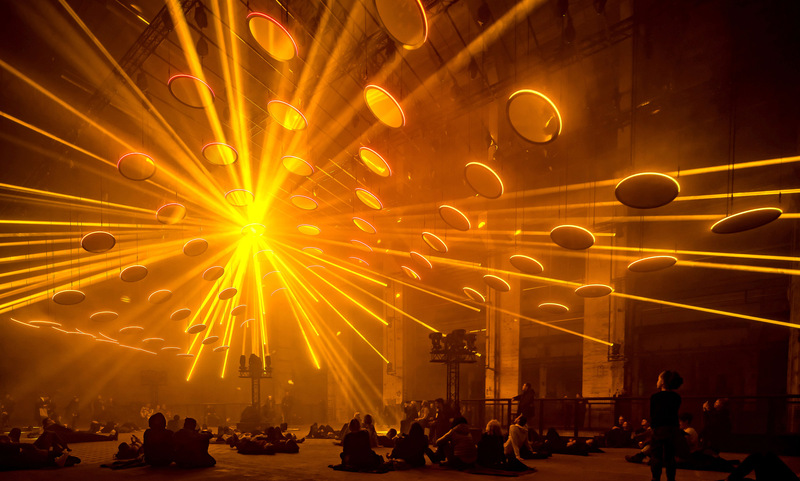 KINETIC LIGHTS. Emotion in MOTION. 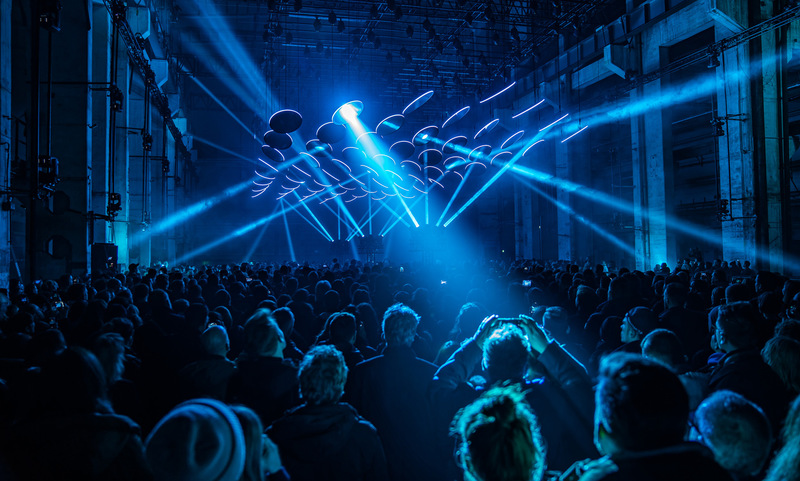 SKALAR is a large-scale art installation that explores the complex impact of light and sound on human perception created by light artist Christopher Bauder and musician Kangding Ray. 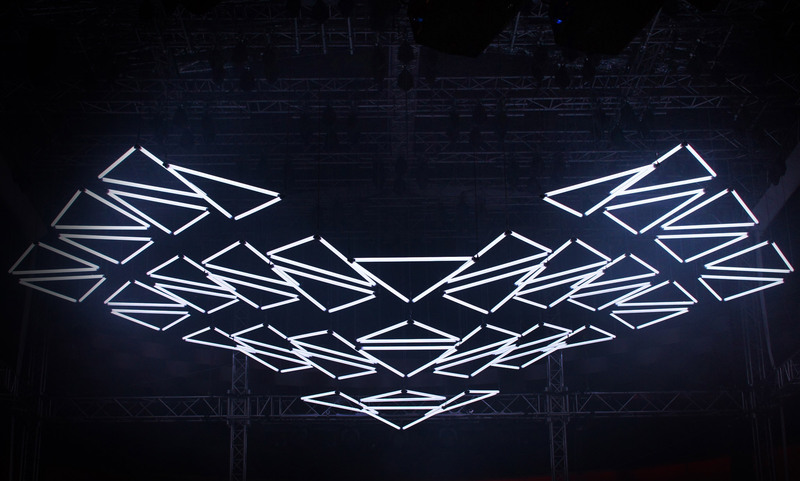 Measuring 45m in length, 20m in width, and 10m in height, the generative luminous structure controlled by KINETIC LIGHTS KL Control 3.0 software, encompasses a perfectly synchronous interplay of 65 Mirrors Discs with 195 Winch LED / PIXEL, 90 Robe moving lights, and a multichannel sound system – elevating creative possibilities to a whole new level. KINETIC LIGHTS realises another permanent kinetic installation with custom Linear light fixtures designed especially to match the interior concept of the high-end office space of a creative agency in Berlin. 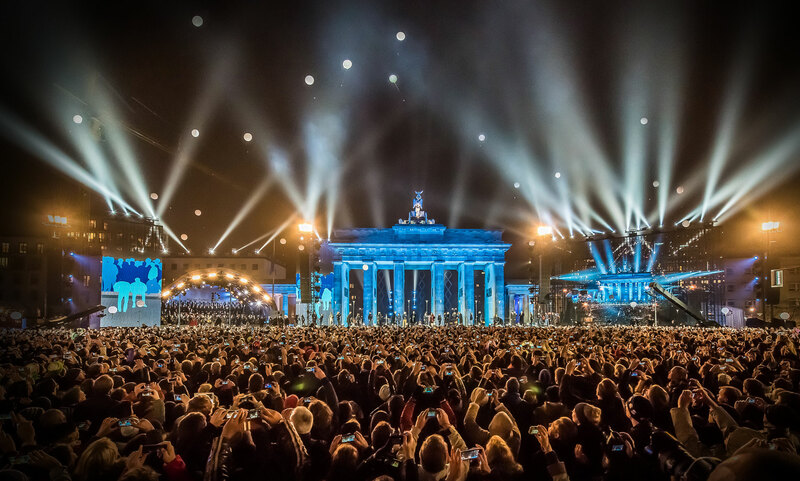 KINETIC LIGHTS presents the unique powered cable Winch XS system for interior applications with a new LED light elements at the light+building trade fair in Frankfurt – 18 – 23 March 2018. Visit us @ Hall 1.1 Stand G 50. 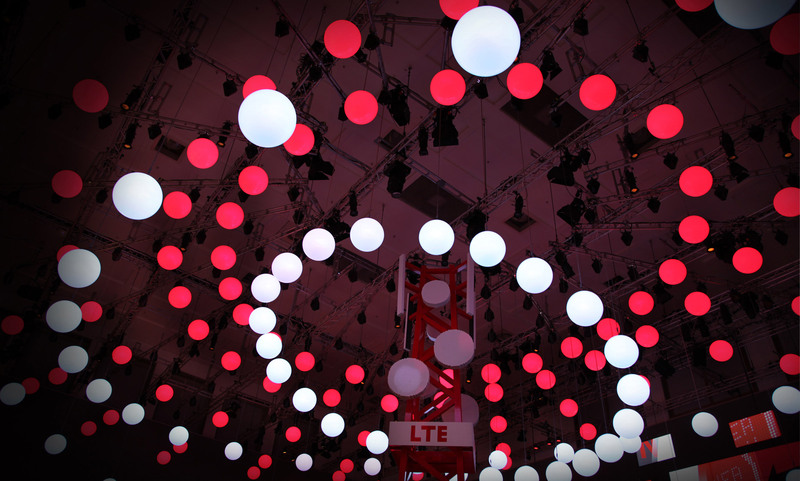 Let there be MOTION. 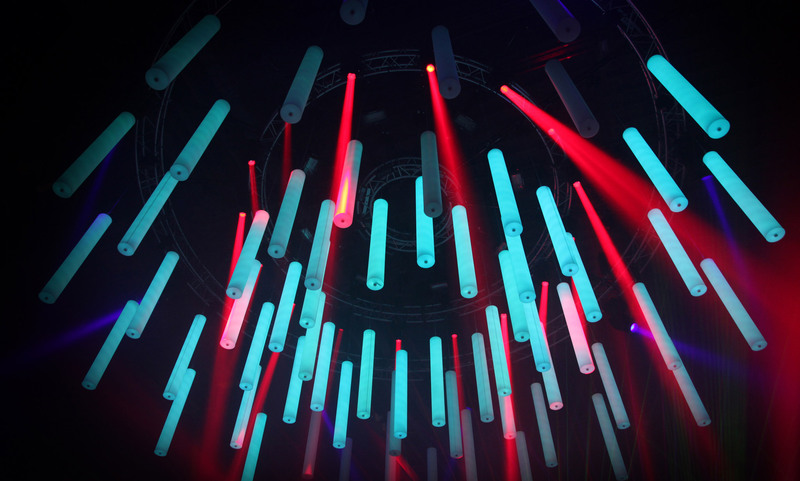 KINETIC LIGHTS realises a special double WAVE kinetic installation composed of 200 Winch LED and 100 Single Rod for Microgaming trade fair stand designed by event.live at ICE Totally Gaming 2018 in London. 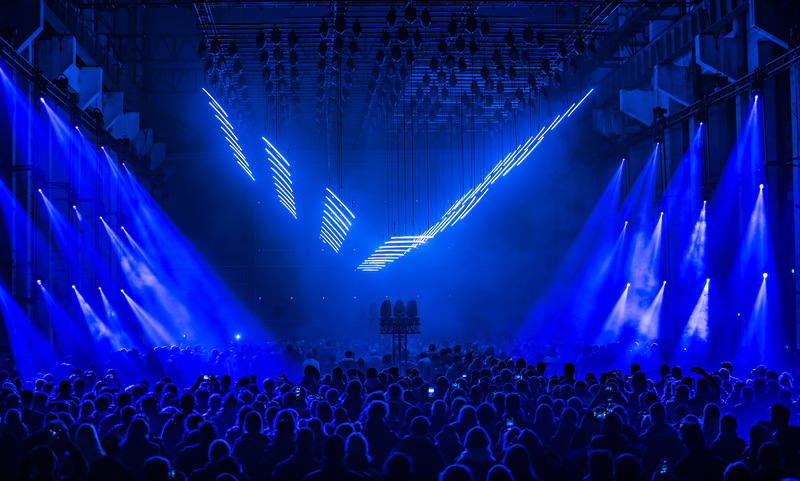 Design agency WHITEvoid presents their 1st collaboration with High Scream at Hï Ibiza for the seasons closing party 2017. 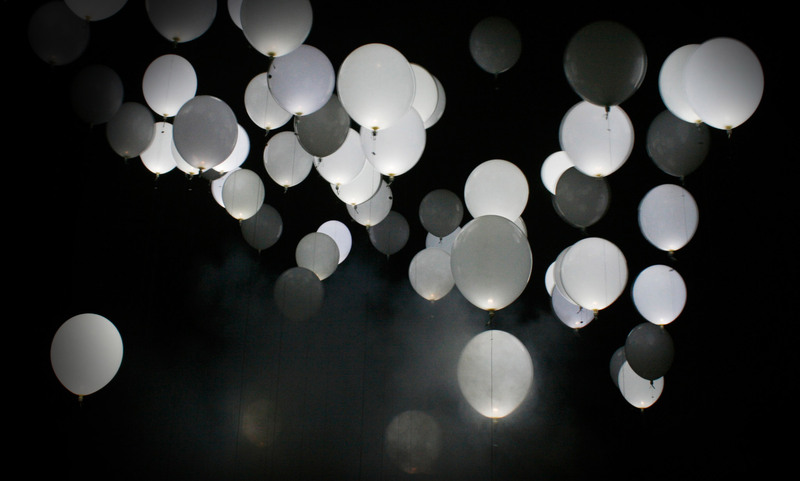 Hï is the latest and addition to the Ibiza club scene and provides state of the art production technology on the Island. 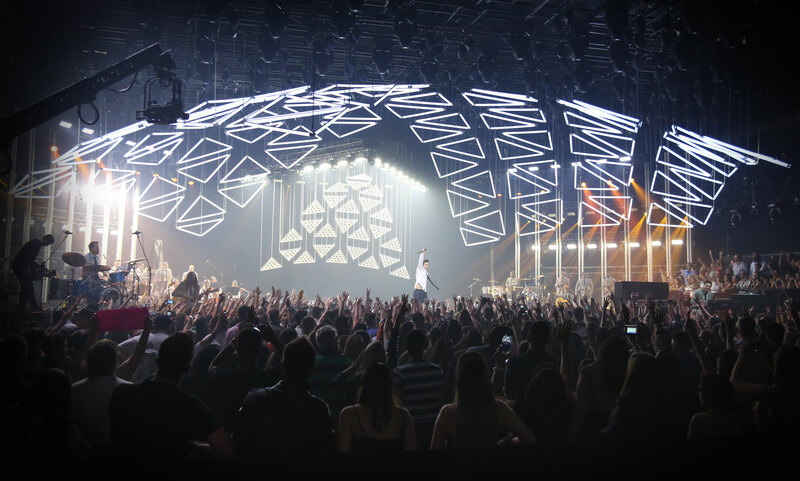 KINETIC LIGHTS provided the technical development and programming of the kinetic light installation for the grand season finale. 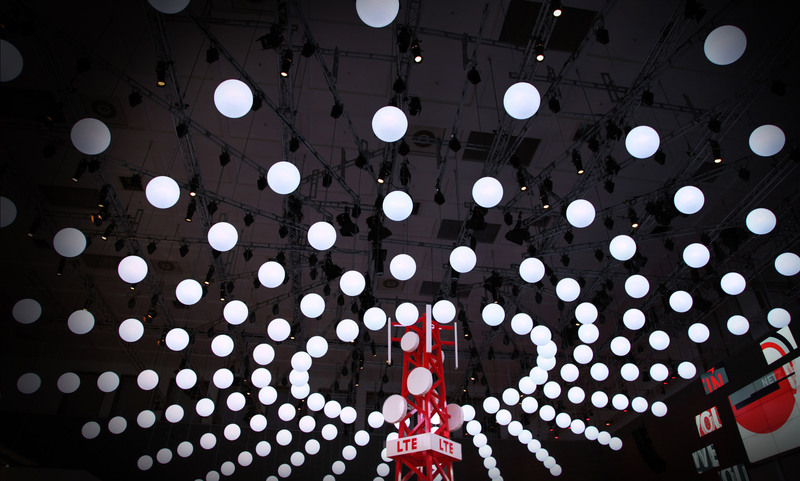 We specifically developed and installed a kinetic ceiling including 30 movable round mirrors and 30 kinetic mirror balls and LED lights. 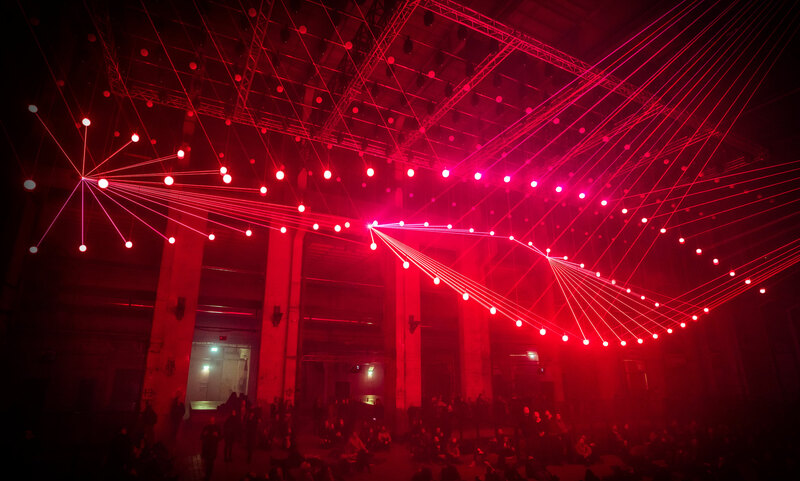 All kinetic elements were targeted with 30 Robe Pointe moving lights in full motion to create vivid light beam sculptures in mid air. 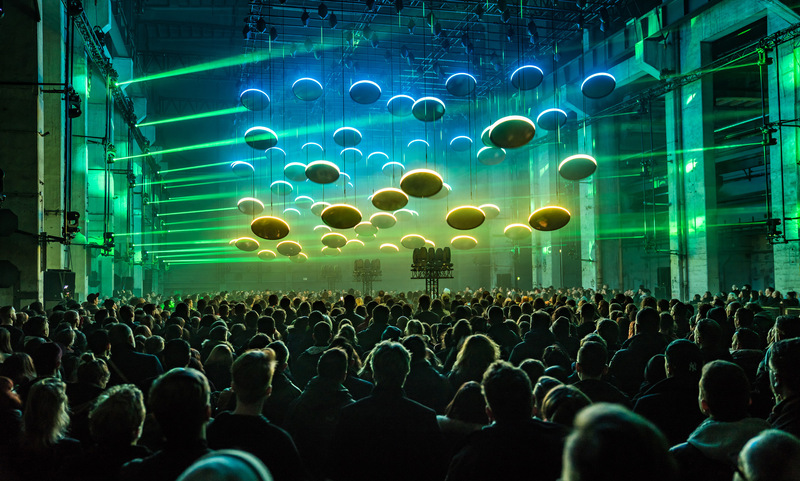 KINETIC LIGHTS also provided the high precision motor systems and custom software for this unique spectacle. We are on the cover! 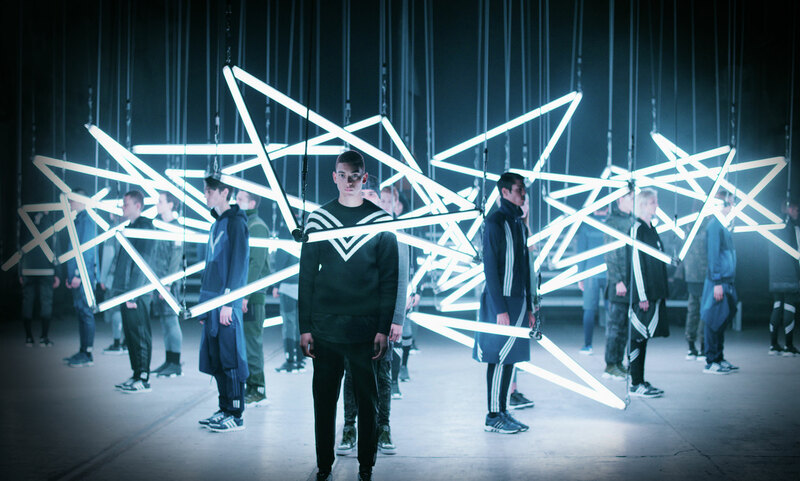 Check mondo*dr 11/2017 featuring Lucky Voice project and PRODUCTION PARTNER 09/2017 with epic 2047 Apologue performance using 640 Winch XS and Sphere 17. 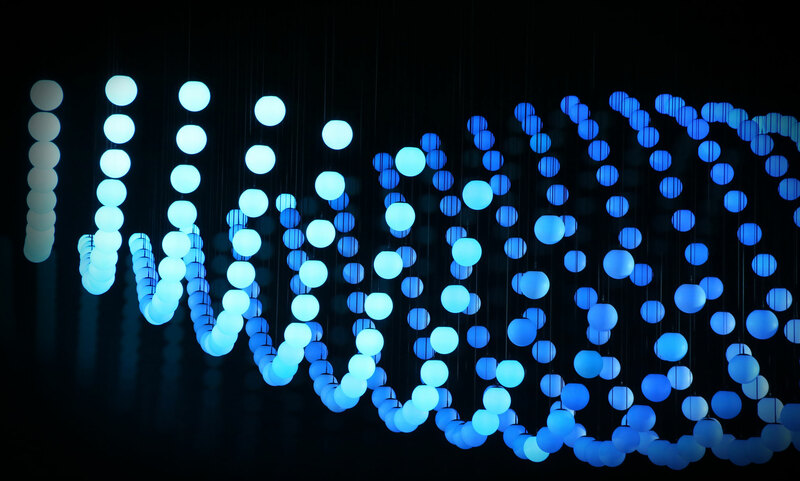 KINETIC LIGHTS was invited by WENGER.ONE to create a double WAVE II kinetic installation for Bosch appearance at IFA 2017 trade fair show in Berlin. 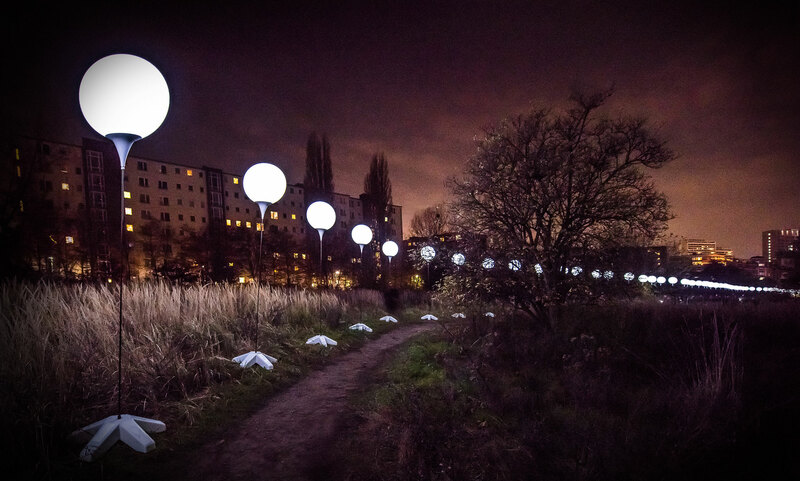 The ever changing sculpture was composed of 62 Double Rod light fixtures and 124 Winches LED.